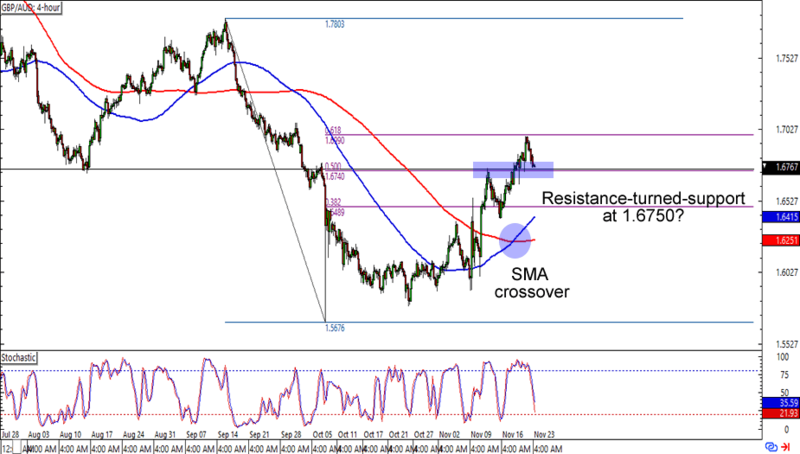 GBP/AUD has broken above the 1.6750 resistance to hit the 1.7000 major psychological handle. The pair is back at the 50% Fib levels though, which presents a possible resistance-turned-support scenario for the pair. Of course, it also doesn’t hurt that the 100 SMA has just crossed above the 200 SMA and that stochastic is about to hit the oversold territory. Will the pound head back to its September highs after all? 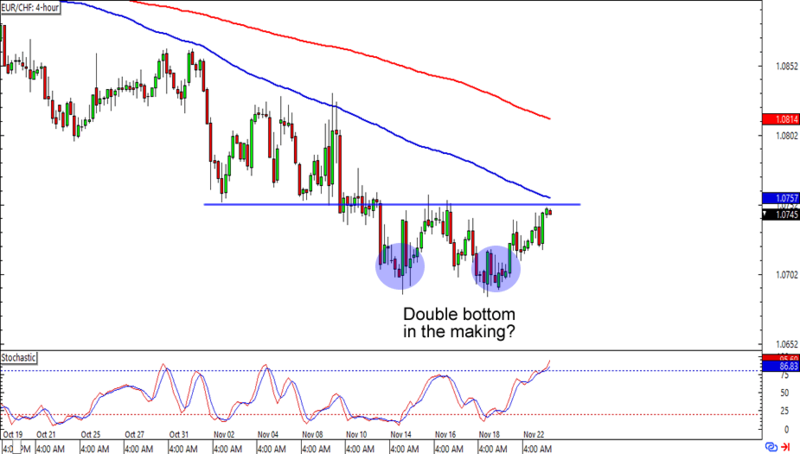 Watch this one closely in case the pound extends its uptrend against the Aussie! I spy with my cool, bedroom eyes a double bottom breakout in the making! 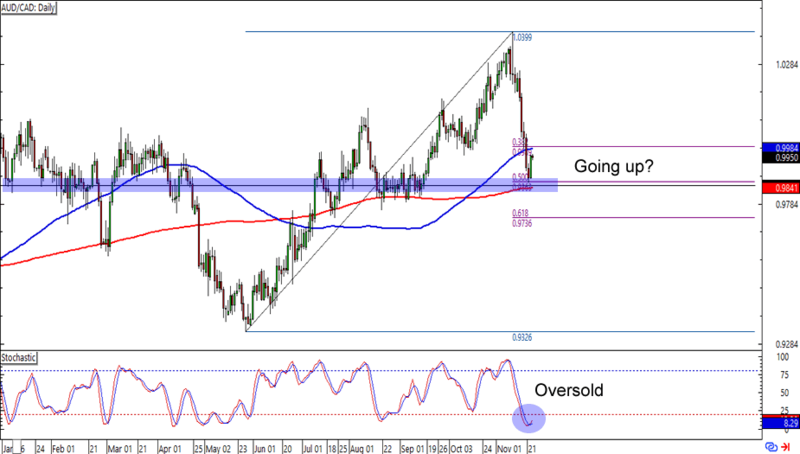 EUR/CHF has been rejected from the 1.0700 area twice and is now testing the “neckline” around the 1.0750 minor psychological handle. What makes the level more interesting is that the 100 SMA and an almost overbought stochastic signal area holding off a possible upside breakout. Which camp will win by the end of the week? Read up on trading breakouts like these if you haven’t tried it yet! Last one up for this set of charts is an update on the Fib retracement opportunity that we spotted a couple of days back. AUD/CAD looks like it’s bouncing from the .9850 MiPs after all, which isn’t surprising since it lines up with the 50% Fibonacci retracement on the daily time frame. Not only that, but stochastic is also chillin’ like ice cream villain on the oversold region. Buying at current levels could give you a good reward-to-risk ratio especially if you aim for the previous highs. Just make sure you leave enough room for currency cross volatility, aight?